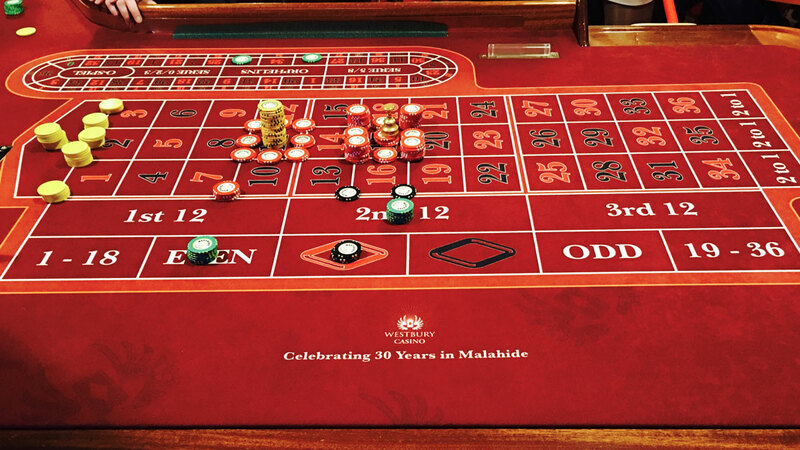 Take a seat at Dublin's favourite casino and enjoy all The Westbury has to offer. 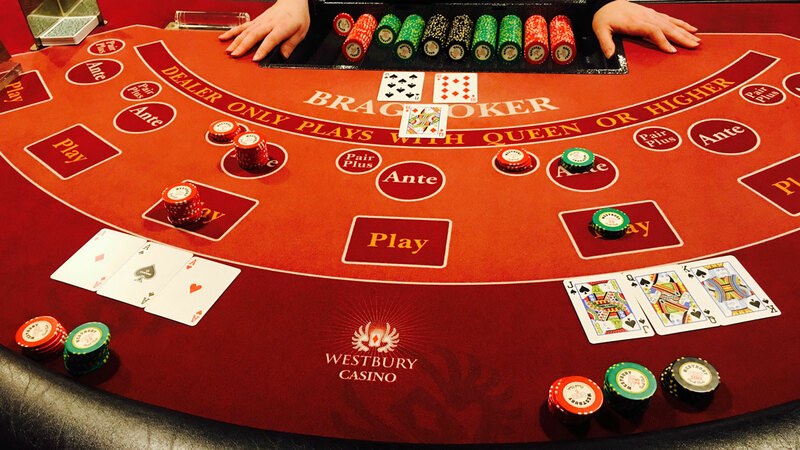 Try your hand a popular casino card games such as Black Jack, Ultimate Texas Hold'Em and Brag Poker! For long time players, or those new to the games, you'll find great fun, great hospitality and a warm reception from all of us at The Wesbtury. Casino tables are open from 8pm - 6am every night, and all are welcome! 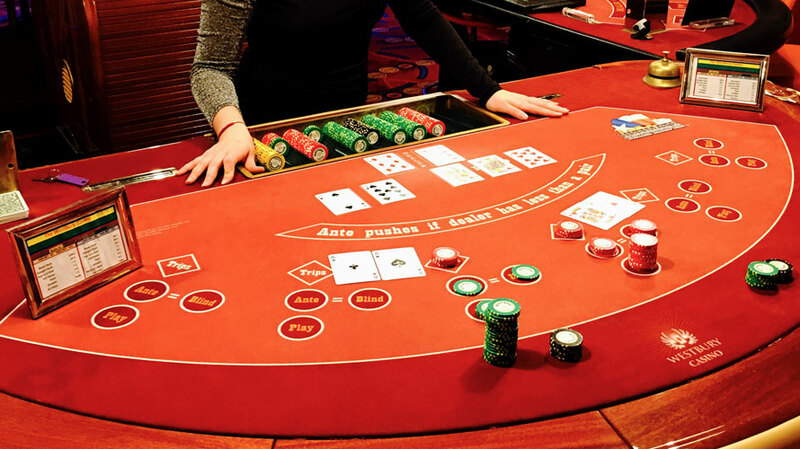 Considered the quintessential casino game, Blackjack puts all players against the dealer. The game is extremely simple: try to get your cards to add up to as close to 21 as possible! 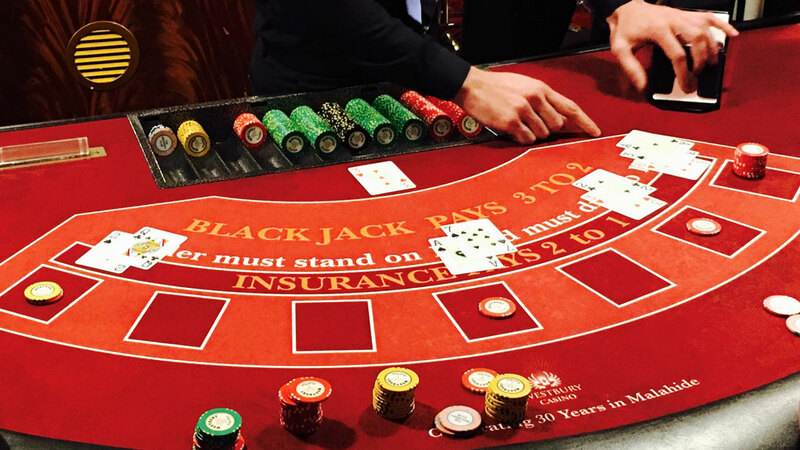 Blackjack really is a game for all, come on down and give it a try! The colour of the numbers alternates between red and black. Wagers can be placed on individual numbers, a series of numbers, or a combination of colours and numbers. Once the ball comes to rest, the dealer marks the winning number and pays out the winnings! Texas Hold'Em is a well know and well loved game - but Ultimate Texas Hold'Em puts its own spin on things! Armed with 7 cards instead of the conventional 2 or 5, players take on the dealer. Our dealers and casino hosts will gladly take you through the steps of the game so all are welcome, beginners or veterans alike! Brag is played using a single standard deck of 52 cards, and there are two main ways to play. You can bet that your hand will beat the dealer's - "Competition", or you can play "Pair Plus". Both of these bets can be made simultaneously and are available on our tables!